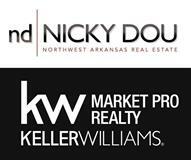 Ask around - your Realtor should be able to give you a list of good inspectors in Northwest Arkansas. You can ask for referrals from friends. Ask for their credentials, such as contractor's license or engineering certificate. Also, check out their references.